Sheldon Krimsky is professor of urban and environmental policy and planning at Tufts University. He is the author of six books and over 100 essays and reviews. In Science in the Private Interest, a strongly argued polemic against the commercial conditions in which scientific research currently operates, [Krimsky] shows how universities have become little more than instruments of wealth. In Science in the Private Interest, Dr. Krimsky documents the growing entanglement between commerce and academic science. He argues that the lure of profits is transforming universities so that they are no longer independent, disinterested centers of learning that the public has long depended on. A must-read for anyone interested in the future of science. This is an important and detailed analysis of the transformations of the biomedical sciences as they have become part of a new biomedical-industrial-complex. . . . A timely and much-needed study. This book should be read by anyone concerned about the integrity of knowledge production in a knowledge-based society. Krimsky provides a spirited and engaging defense of academic freedom and sounds a compelling warning of the long-term dangers to society when universities adopt the values of business. Science in the Private Interest is required reading for all scientists interested in the integrity of researchers and universities. Sheldon Krimsky is one of the country's leading thinkers about the social and political context of science. 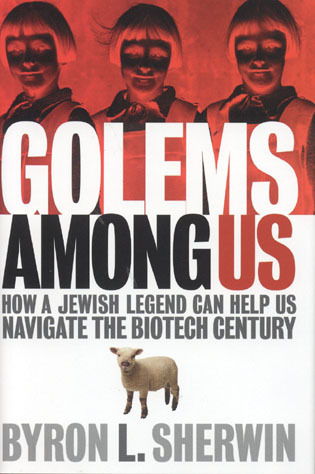 This very accessible book offers a powerful insight into how corporate connections are harming the progress of science, tainting free inquiry in our universities, and harming our health. Reading Krimsky will give those inside and outside the university and college worlds a gripping sense of how large are the stakes and how glorious can be the benefits of defending and expanding the independence of the university from the growing corporate state. . . . A searching and honest book. Science in the Private Interest makes a timely and welcome contribution. A major strength of Krimsky's book is its comprehensive account of problems that have arisen from the 'partnership' of academia and industry. Science in the Private Interest is carefully researched and presents arguments from all sides of the issues under discussion. Case studies sprinkled throughout the book demonstrate that the main characters—universities, large companies, and some academicians—at times cloak monetary and career-advancing priorities in scientific clothing. Yet most of the pages of the the book are not exposés of biomedical wrongdoing but explanations of the laws and regulations that govern how academia and industry interrelate. Krimsky is certainly not the first to take on conflicts in the scientific world, but his scholarship provides the data that many advocates use in making their case. Even defenders of the commercial ties, who say they speed products to the market and appropriately reward researchers for their work, recognize the importance of Krimsky's data. 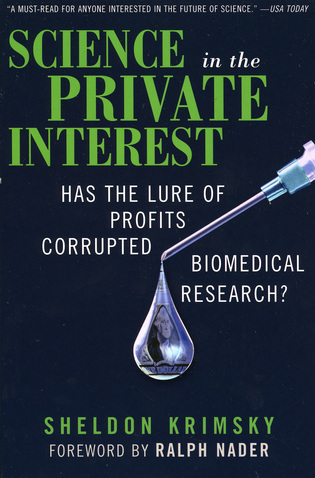 By using thorough analysis, interviews, and careful evaluation of recent patterns, Krimsky attempts to untangle the complex relationship between biomedical research and profiteering, one of the most important issues of our time. Provides a useful and readable compendium of events and ideas that are familiar to scholars of conflict-of-interest in science. Krimsky has long been a critic of business links to universities. Science in the Private Interest integrates his work and that of others, arguing that the link between universities and business actually presents a serious threat to both universities and society. Krimsky's analysis is informed and his argument well written. Science in the Private Interest is a disturbing book but one that deserves a broad readership. Although this thesis is not new, readers will learn from the detail [Krimsky] presents and from his juxtaposition of a broad range of examples. Bringing together a wealth of evidence from investigative journalism, government reports, and peer-reviewed articles, Krimsky shows that these conflicts of interest are not isolated incidents but form a widespread, increasing pattern. Shrewd, unsparing, and never shrill, this book ought to be obligatory reading for anyone who values the role that science plays in the political life of the United States. With a scholar's care and an idealist's unswerving allegiance to unfettered scientific inquiry, Krimsky explores the true public cost of the transformation of university-based research into a tool of commercial self-interest. The message of this book is relevant to most of us. Because this subject is important, and because Krimsky's writing is clear, there is little to criticize. This vision of what academia has been and what it could continue to be is reason enough to read what Krimsky has to say. A must-read for UK science minister Lord Sainsbury. 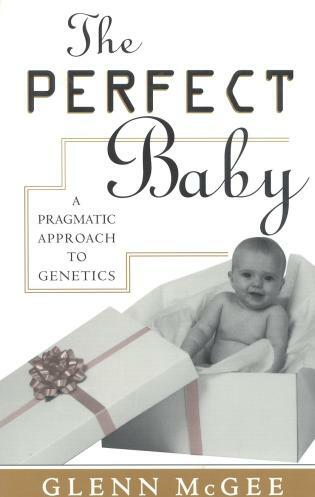 Krimsky has written an important and provocative book. Science in the Private Interest should generate fruitful debate about systematic responses to the dangers of research commercialization in the life sciences. I know of no better account of the profound issues regarding the interface between the academic mission and the industrial world than that given by Krimsky. In lucid, well-documented discussions, liberally enhanced by appropriate case studies, Sheldon Krimsky shows us how bias and conflict of interest may arise in various forms. Something has changed in the culture and values of academic science over the last quarter-century. University science is now entangled with entrepreneurship, and researchers with a commercial interest are caught in an ethical quandary. How can an academic scientist honor knowledge for its own sake, while also using knowledge as a means to generate wealth? Science in the Private Interest investigates the trends and effects of modern, commercialized academic science. This book dives unhesitatingly into some of modern science's messiest and most urgent questions. How did scientists begin choosing proprietary gain over the pursuit of knowledge? What effects have academic-corporate partnerships had on the quality and integrity of science? And, most importantly, how does this affect the public?